Let me guess, you’ve been to Southwest Florida before and want some, dare I say, unusual things to do in Naples Florida? So, if you’ve been to Naples countless times, or if you’re visiting for the first time and want to avoid some of the more traditional, Naples points of interest, then this is the post for you. Like everyone else, you’ve maneuvered the crowds at the Naples Pier, braved parking for sunsets at the beach, taken a catamaran cruise, enjoyed the more authentic Old Naples, snorkeled off a gorgeous beach. Are you ready for something a little more offbeat? We’re gonna get off the Naples tourist trail and look at some of the best non-touristy things to do in Southwest Florida. Here is our list of some of the cool and unusual things you can do during your visit to Naples. From the tiniest post office in the United States to the Skunk Ape Research Center, we have something weird for everyone. 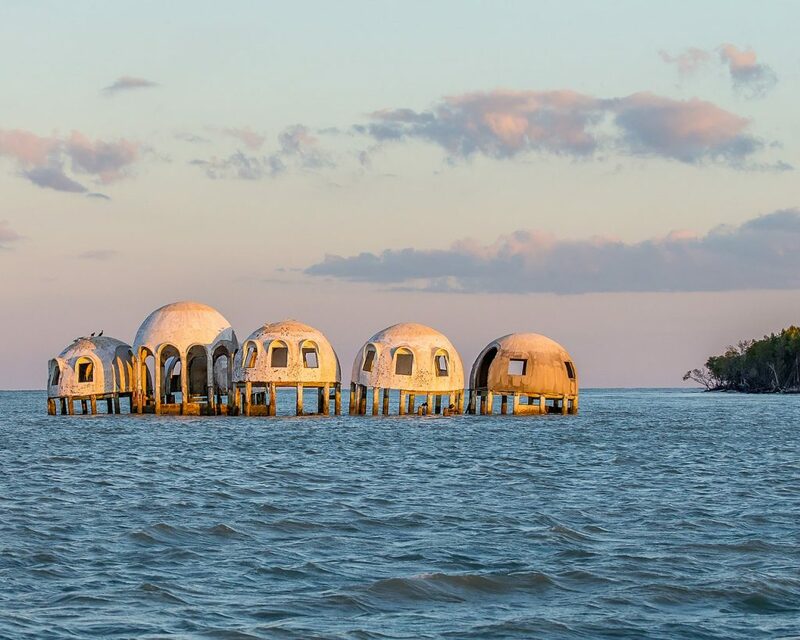 The Cape Romano Dome House is an abandoned modern house located on Caxambas Island, south of Marco Island in Cape Romano in the Ten Thousand Islands of Collier County, Florida. It was constructed in 1980 by retired businessman Bob Lee, abandoned in 1992, sold in 2005 to John Tosto. It is now approximately 180 feet offshore. 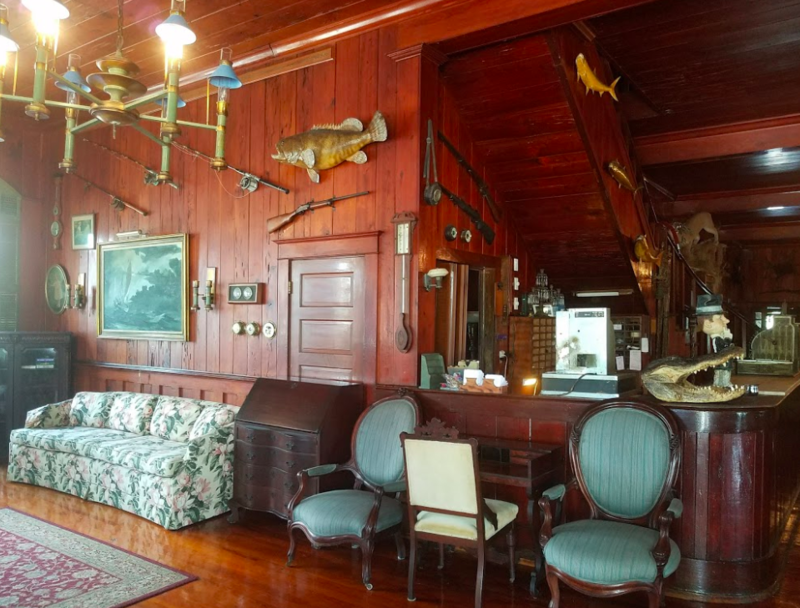 There’s only one real reason to stay at the Everglades City Rod and Gun Club: To feel like you’re stepping back in time. This relic has been hosting visitors to this small town at the end of the road since the 1890s and it is remarkably unchanged. The Everglades Rod and Gun Club has seen more than a century of history, including five presidents and plenty of other notables, including, Ernest Hemingway and, weirdly, Mick Jagger. The Nike Missile Site HM-69 is ground zero for the Cuban Missile Crisis and Cold War history. 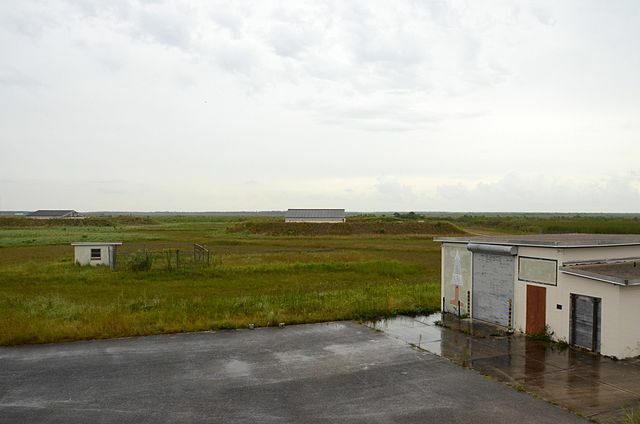 Also known as Hole in the Donut or Everglades Nike Site or Missile Base is a former Nike-Hercules missile base, now listed as a historic site west of Homestead, Florida, United States. It is located on Long Pine Key Road in the Everglades National Park. The site with 22 buildings opened in 1964 and closed in 1979 when it was turned over to the National Park Service. Dave Shealy is the owner of the Skunk Ape Research Center. Born September 28, 1963. He has spent his entire life living in the Everglades. His family history in the Everglades can be traced back to 1891. As far back as Dave can remember rumors circulated around town of a creature covered with hair, standing upright; like a man and smelling like a skunk. At the age of 10 while hunting with his brother Jack, Dave had his first encounter with what the locals referred to as a Skunk Ape. Dave has spent the last 30 years investigating sightings, collecting data and researching these elusive creatures. The Revs Institute values the importance of preserving automobiles in their original, untouched and patinaed state. 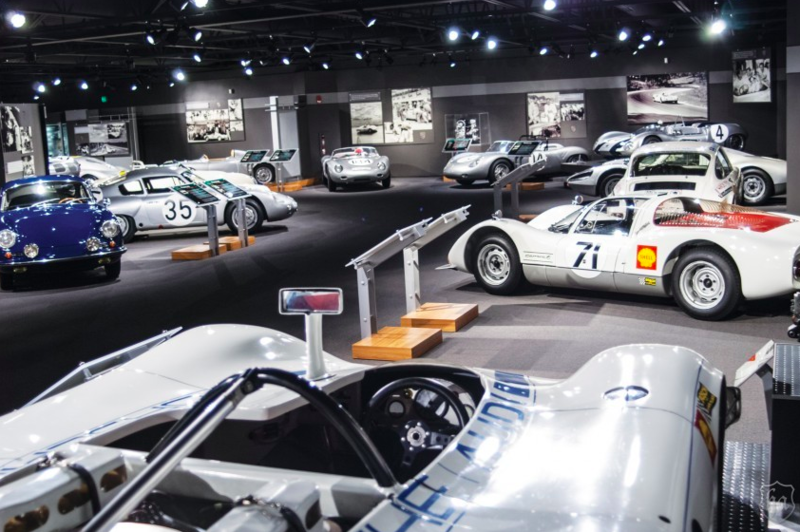 With few deliberately considered exceptions, the more than 100 automobiles in the Collier Collection, which is divided into four thematic galleries: Automobility, Vitesse, Revs and Porsche are fully operational and displayed free of protective barriers allowing visitors the most intimate access. Located near the Naples Pier off of 12th Avenue South, Historic Palm Cottage is considered the oldest houses in Naples. It was originally built in 1895 for Walter N. Haldeman, who was one of the founders of Naples and also behind the initial construction of Naples Pier, which helped to promote commerce in the area. 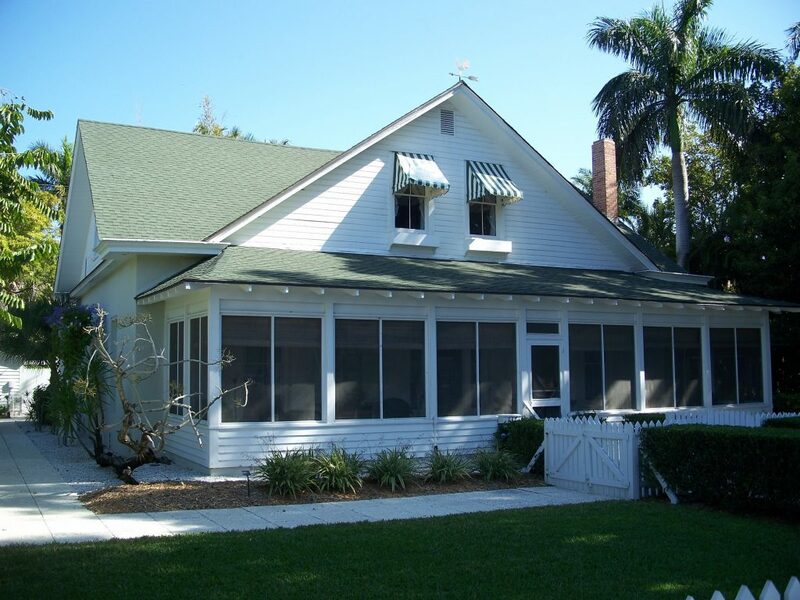 Now owned by the Naples Historic Society, Palm Cottage is now open to the public for tours, held every Tuesday through Saturday from 1 pm to 4 pm. A reservation for the tour of the cottage isn’t required, however there is a $10 admission fee per person, which includes the 40 minute guided tour of the cottage along with time to yourself to visit the Norris Gardens out back. Children under 10 can be admitted on the tour free of charge. Located off of Tamiami Trail East in the heart of the Collier County Government complex, the Collier County Museum houses exhibits and historic landmarks that help to retell not only the history of Naples, but the history of Collier County and of Southwest Florida as a whole. The tour through the Collier County Museum is self-guided, and requires no admission fee. You start your tour through Exhibition Hall, which shows artifacts from Southwest Florida’s prehistoric past, to its Pre-Columbian origins, to its early days as a Spanish colony to the rise of Naples and many of the surrounding cities as major, pioneer boom towns. The tour ends with a look at modern history of Collier County and Naples. 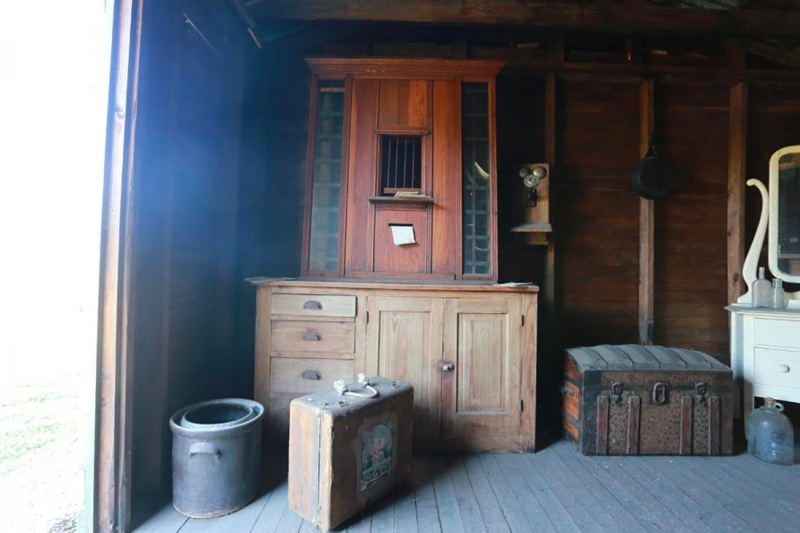 From there, go outside of Exhibition Hall to see the authentic train, a replica of a Seminole village, and an actual 1926 cottage that was saved from demolition and moved to the museum for preservation purposes. 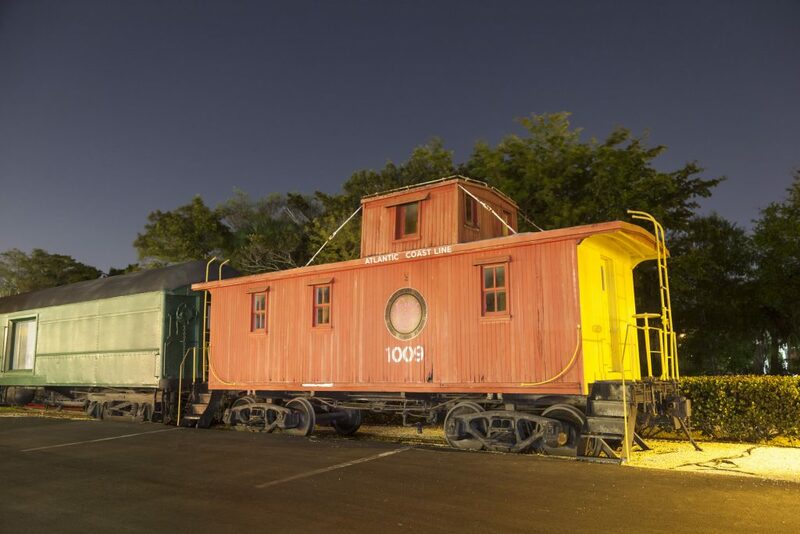 Located in the heart of Downtown Naples near Fifth Avenue South and Tin City, The Naples Depot was originally a train station. It is now a museum connected with Collier County Museums; it includes exhibits by local artists, classic cars, and a train museum featuring train cars, cabooses, railroad tools, Naples Depot memorabilia, antique boats and marine memorabilia, and artifacts from the Naples Army Air Field. The Naples Train Museum is also located on this site, which is a privately run museum geared towards children. This museum includes an interactive model layout of a train and also a special train ride for the kids every Saturday from 10 am to 2 pm. Even though this site is often frequented by tourists, the reason why it is on our list is because of its ‘70s vibe and bohemian shops featuring local crafts and art. 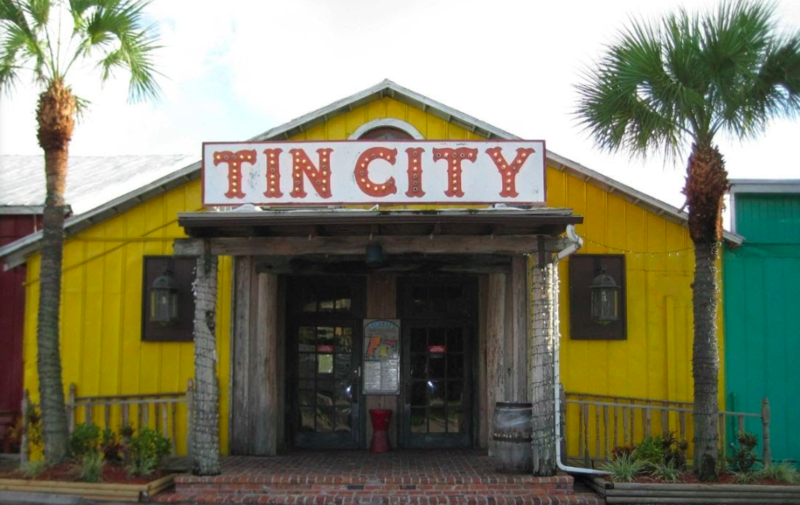 For a more off-the-beaten path experience of Tin City, come here to buy souvenirs by local artists and craftsmen at shops like the Art Boutique at Tin City, Naples Olive Oil Company, and the Naples Soap Company. For great bohemian style shopping, visit Caribongo, City Bags of Naples, Tin City Magic, and Peace Frogs. For a yummy local treat for you and the kids, get a cone of homemade ice cream from M & M’s Café, oversized cookies at 5th Avenue Confectionary, or homemade monkey bread at the Monkey Bread Factory. For a nice treat for the adults, stop by The Naples Winery for a nice bottle of wine bottled and aged in Punta Gorda for you to bring home as a gift or to drink at your accommodations after a long day of sight seeing! Located off of 41 about 15 minutes south of East Naples and minutes away from Marco Island, Collier Seminole National Park offers a great natural getaway with great opportunities to see wildlife. 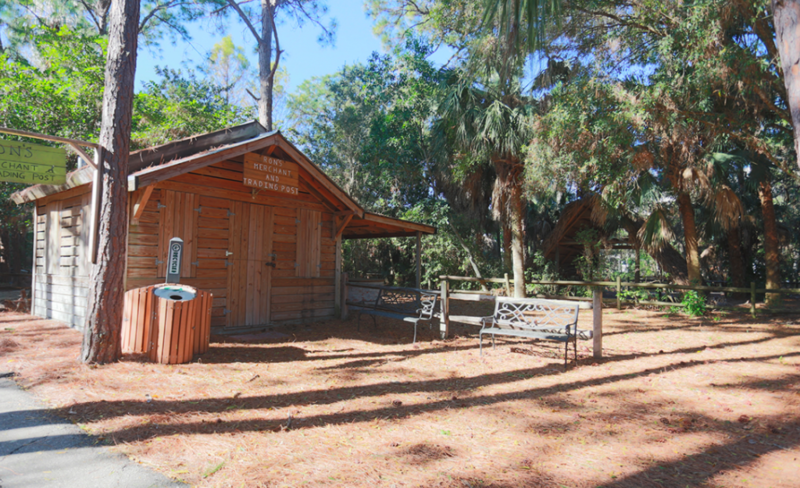 Come here to see some of the historical exhibits like the Bay City Walking Dredge, and the Seminole buildings. Take a hike along the many trails, or take your kayak, canoe or paddle board with you for a prime experience along the water ways in the park. If you don’t have a kayak, canoe, or paddle board, visit Everglades Adventure Tours, which will hook you up either with a rental or give you a guided kayak or paddle board tour of the park’s water ways. There is also a nice playground for the kids, as well as a picnicking area with on-site provided grills and picnic tables. If you are looking for an experience to camp, see about booking a few nights at the full-facility campground on-site. General admission into the park is $5, with use of the campground costing more according to your needs and how long you plan to stay. If you want to book a tour or rent a kayak or paddle board with Everglades Adventure Tours, either call them directly at 800-504-6554 or book a tour with their kiosk located inside of the park, in front of the children’s playground, picnic area and dock area. Located off of Bayshore Drive in East Naples, the Naples Botanical Gardens is a great place to take the whole family for a nice walk and an educational experience to learn about local and exotic plants. The Naples Botanical Garden has seven garden types: Asian, Brazilian, Caribbean, Children’s, Florida, The Preserve, and Water. 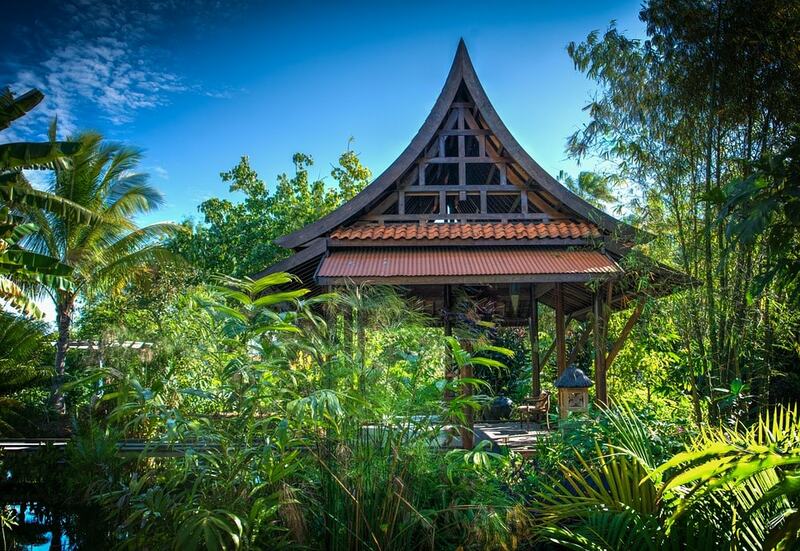 Each of the gardens within the property offers the visitor an educational understanding of different kinds of plants, but also a themed atmosphere for a nice walk with the family, your friends, or even your pets! The Children’s garden also features fun activities, led by their dedicated volunteers, to help teach children about the food they eat, how plants grow and to see how gardening can be fun! Before you visit, make sure you purchase tickets online to the gardens or purchase your tickets on-site. Admission is $14. 95 per adult, and $9.95 for children ages 4-14. Do you love history, ghosts, and the stories that keep them alive? Please join Marco Island’s only mystery historical tour, a 2-hour mystery tour that will not soon be forgotten! Marco Mystery and History Tours will take you on a tour with Martha Hatta, as your personal guide. Stops on Marco Island include a cemetery, haunted inn and a 340-year old Indian burial site. Public tours begin in October and continue through March. Check out the “TOURS” page for tour dates. Private tours are scheduled upon request and availability. If you think you work in a small office, imagine working here! This building is only 7×8 feet big and is smaller than a lot of closets. It used to be a tomato farm shed for their irrigation pipe. But after a fire at the Ochopee general store, where the town’s post office was also housed, it was changed into the US’s tiniest post office back in 1953. 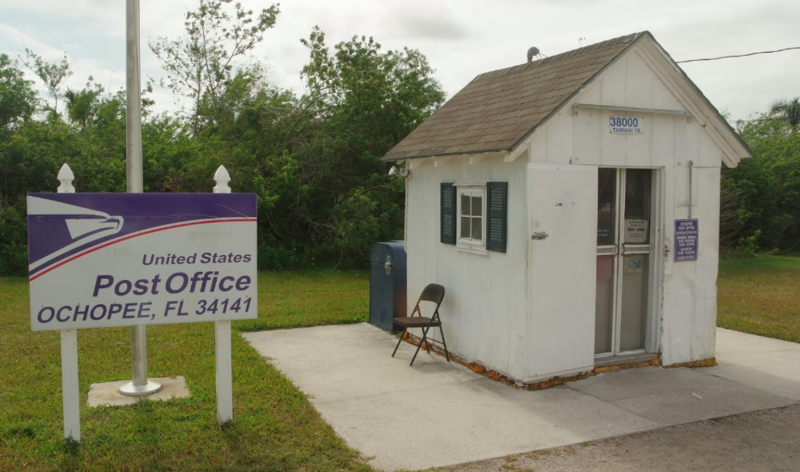 Ochopee, which sits on the Everglades’ edge, only has a population of about 11 people, has loved their tiny post office ever since. Are you frustrated trying to find a rental for season? Look no more, and secure your stay with Naples Florida Vacation Homes! We provide seasonal, and nightly vacation rentals in Naples finest golf and beach communities throughout Collier County, Florida. We can also rent your Naples property!